Looking for a professional Property Manager to rent your property? You’re in the right place! Real Property Management is New Farm’s leading provider of Rental Property Management services! At Real Property Management Australia we provide comprehensive, reliable, and trustworthy New Farm Property Management Services at below-market rates. When you have an investment property, you want the finest in property management to protect your investment. Whether you are a single property owner or own a portfolio of Investment properties, we’ll effectively manage properties that include single-family homes, apartments, duplexes and townhouses. Our New Farm Residential property management company has many years of experience in property management processes to consistently meet our customers’ expectations while saving them time and money. We utilize proprietary systems to manage the entire process to ensure the highest probability of success in all facets of managing your asset. Our full-service property management services include maintenance, accounting, legal compliance, marketing, leasing, collections/evictions, inspections, and more. Please contact us to discuss your individual needs and discover why Real Property Management New Farm is the leader among residential property management companies in Brisbane. Previously Brisbane’s Italian quarter, New Farm has seen an influx of professionals and trendsetters who have transformed the area into one of Brisbane’s most desirable suburbs. Much of this transformation has been driven by the urban renewal process, particularly in James Street and the old Powerhouse and CSR Refinery sites. These changes have helped to cement New Farm as part of the cosmopolitan heart of Brisbane. Despite its increasing popularity with young singles and couples, there is still a wide variety of houses available, ranging from historic workers’ cottages and colonials through to art deco blocks of flats and modern contemporary homes and apartments, reflecting the equally eclectic nature of its residents. There is a wide variety of bars, restaurants and cafes, located along Brunswick Street, the James Street precinct and Merthyr Road, giving residents an almost endless array of options. Cinemas are also located on James Street and the historic Village Twin on Brunswick Street is undergoing renovation. New Farm is serviced by good public transport — buses run down Brunswick Street regularly and there are CityCat stops at New Farm Park and Sydney Street. The nearest train station is in Fortitude Valley. 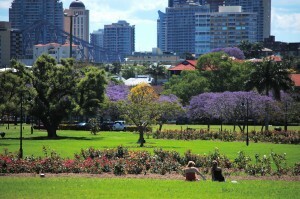 The suburb is also home to the Brisbane Powerhouse, which hosts some of Brisbane’s most avant-garde theatre, historic New Farm Park, and is almost entirely surrounded by boardwalks and walking paths along the edge of the Brisbane River, giving people the opportunity to see Brisbane at its best. With strong demand for inner-city living, New Farm is expected to maintain its popularity with renters and buyers looking for proximity to the city and an excellent cafe lifestyle. 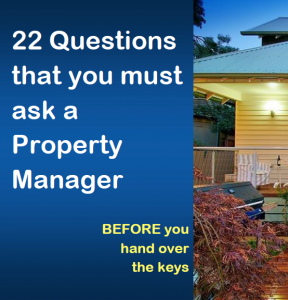 Real Property Management Australia are New Farm Property Management specialists.